A new generation making the biggest possible difference. 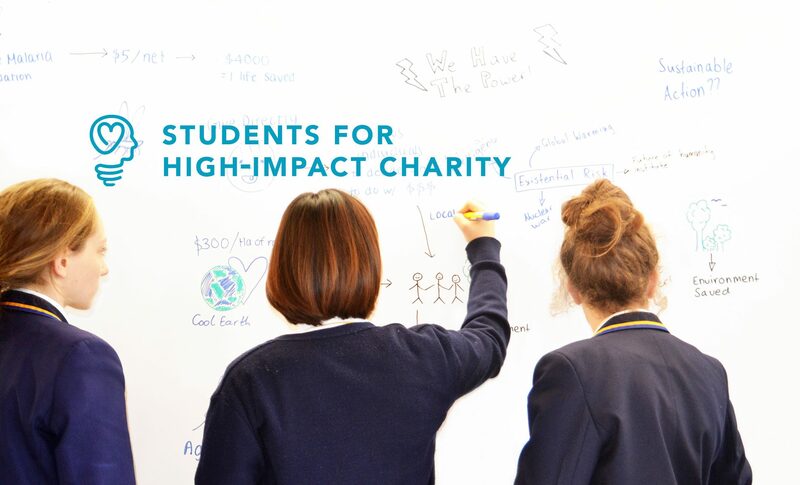 Students for High-Impact Charity (SHIC) is an international organization that provides educational resources to help students discover how to do as much good in their lives as possible by empowering them to think critically about charity. The SHIC program is based on the principles of effective altruism, which is a philosophy and community applying reason and evidence to do the most good they can do. During the SHIC program students learn to think critically about how to make the largest positive difference in the world, choosing high-impact careers, and making ethical life choices. Students emerge not only with a deep knowledge of the world’s most pressing issues, but also with the vision and ability to effectively improve the world. SHIC has a fantastic curriculum focused on helping others that's totally unique. While other groups focus their efforts with solutions already in mind, SHIC challenges students to think about what coming up with solutions in the first place might look like. Catherine and David came to teach our alternative school and the presentation was incredible. Staff and students were thoroughly engaged, entertained and challenged throughout the class and I would strongly recommend this for not only other students, but also community groups, social advocates, workplaces and really anyone would benefit from this workshop.